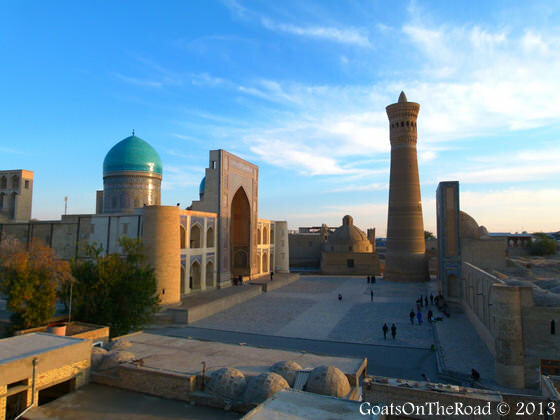 Bukhara, Uzbekistan is known to be Central Asia’s holiest city. 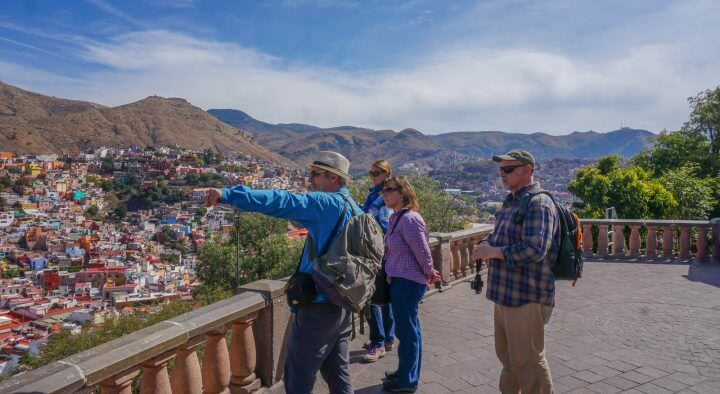 The buildings in this ancient city are more than a thousand years old! 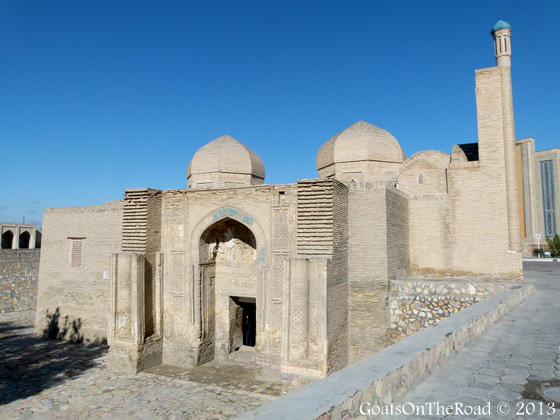 Back in the 16th century, Bukhara was a bustling market town on the Silk Road route. 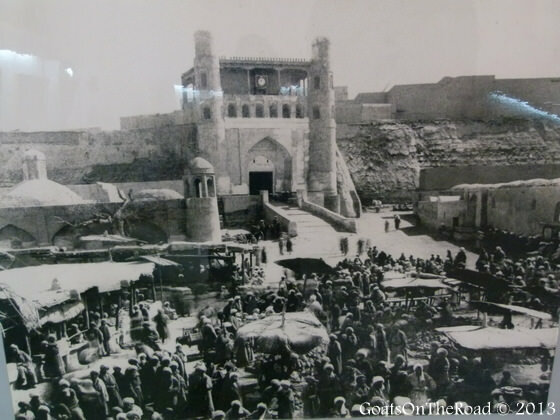 Because of this, many caravans came through here to trade goods at some of the many covered bazaars. 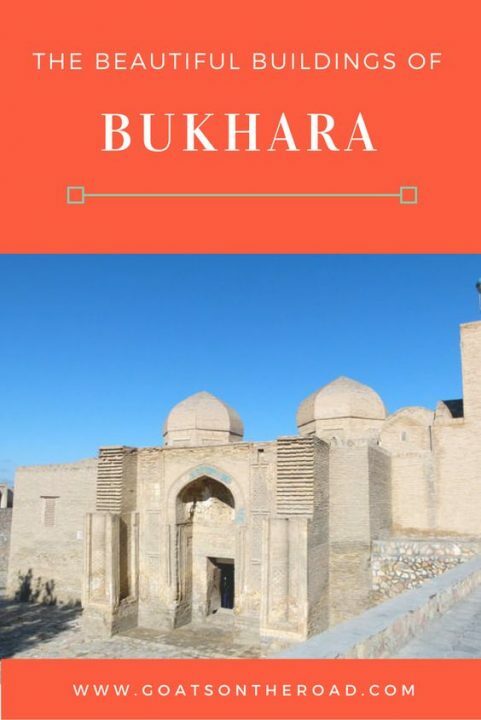 As well as being a stop on the famous trade route for shopping, Bukhara had many caravanserais, over 100 madrassas and over 300 mosques. Today, the old town is still standing and hasn’t been over restored. Many of the mosques, monuments and madrassas are still in amazing condition. There are still many covered bazaars, but today, they are selling goods mainly for tourists. We spent 4 nights here and really enjoyed wandering through the old town and imagining what life must have been like years ago. We meandered through small lanes inside and outside of the old town. We shopped at the bazaars and found a perfect vantage point for watching sunset. We ate delicious sweets, smoked some sheesha and even found a small place selling hotdogs and draft beer! 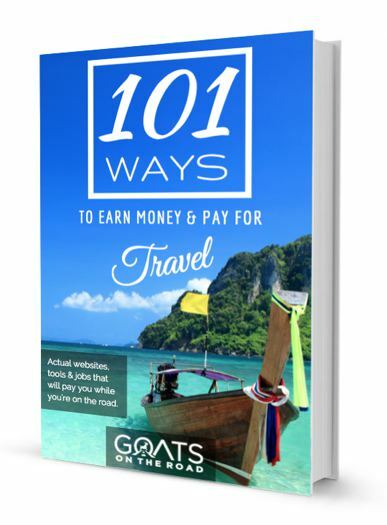 We met some great backpackers who were staying at our guesthouse and swapped travel stories and information. 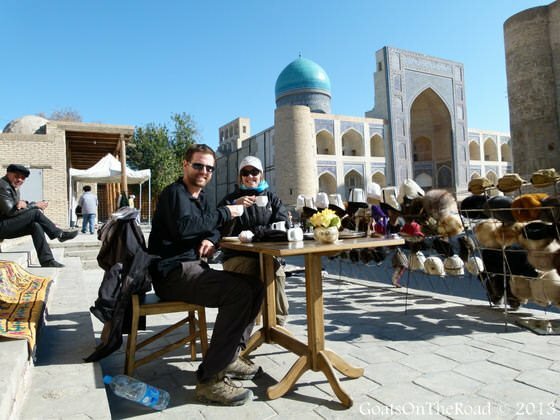 All in all, our time spent in Bukhara was really relaxing and wonderful. After two weeks in Uzbekistan, our time was up. 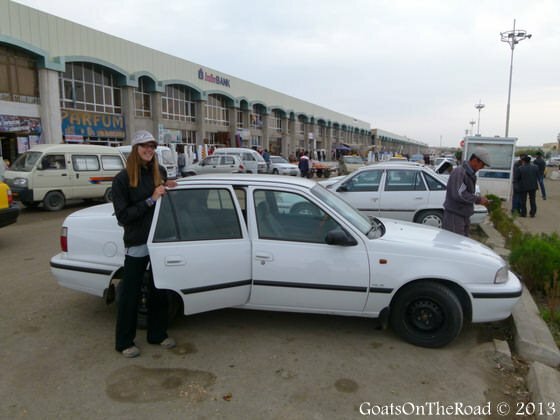 We went to the market and found ourselves a shared taxi to take us to the border with Turkmenistan…which would prove to be a very, very strange country. Stay tuned for our (mis)adventures in Turkmenistan! 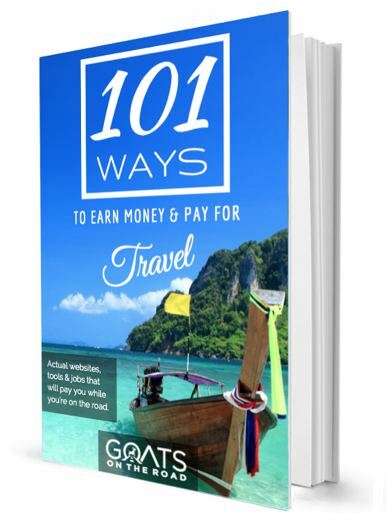 Have you ever been to Uzbekistan? 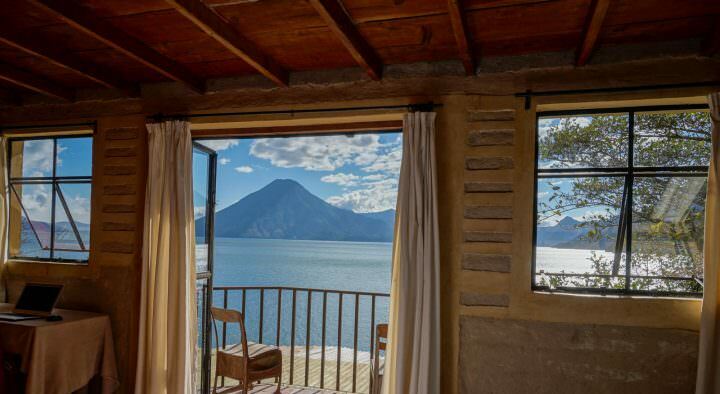 Would travelling here appeal to you? Share with us below! The buildings here are indeed beautiful! I hope to visit and see them for myself one day. Thanks Jennifer, they were stunning in person! I love the blue in the Mir-i Arab Madressa- incredible architecture. Yes, the architecture was so amazing! 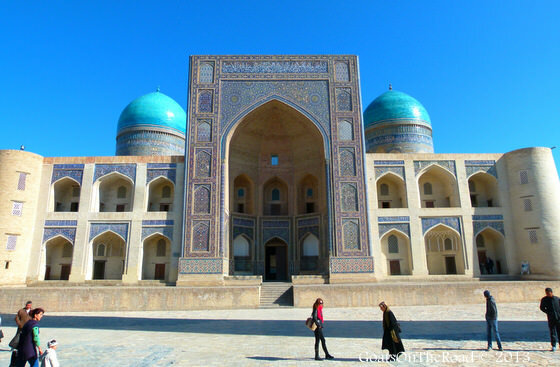 I have not yet traveled to Uzbekistan, but the architecture looks amazing, and I am very much looking forward to seeing it for myself. 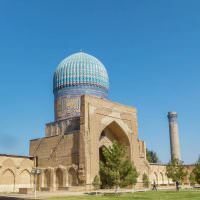 I wonder if you could offer any advice on getting an Uzbekistan visa. Where did you apply for your visa, and did you need a Letter of Intent? Yes, we had a letter and we got our visa in Dushanbe, Tajikistan in just a couple of hours, it was very easy with the Invitation Letter. We got the invitation through Stan Tours. Great! Thanks for commenting Darrell. Happy trails.